Nobody has such a heart ... Let's save Martyna! What do you think a parent feels when their child is dying, and the doctors next door are fighting for hours to bring them back to life? There are absolutely no words to describe it, nobody has ever thought of words strong enough to describe that. Fear, pain, hope- all of these are running through your body creating a circle of pain crushing your heart so strong that you cannot breathe. We prayed to God to save Martynka, but if she had to suffer- we wanted the will of God be done... But our daughter survived. However, it is not the end of our fight for her life. What we do know now, is that if we hadn’t been sent to Munster, our little girl would have never survived... 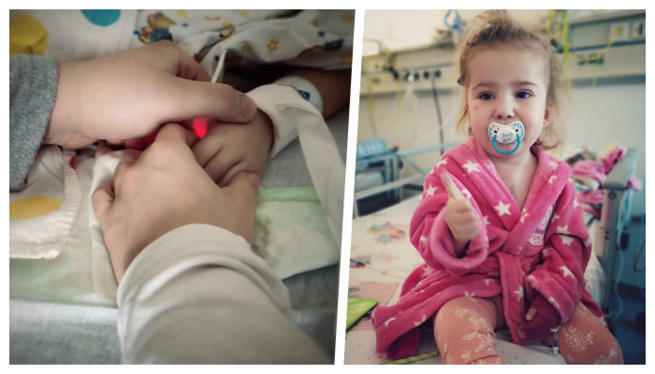 Please help our little girl continue her treatment in the best specialized clinic, help us save her life! 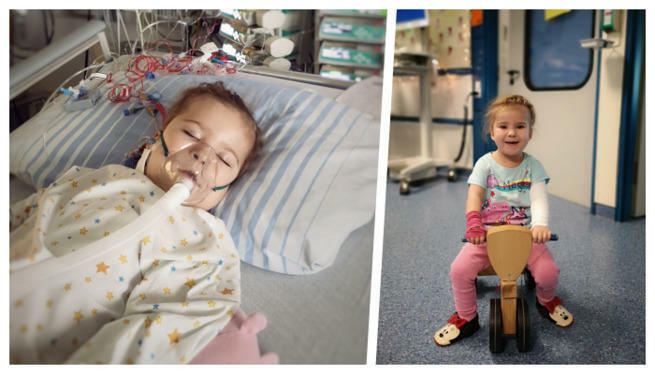 In August last year you have helped us to raise money for her surgery for the first time, giving our daughter a chance to live. 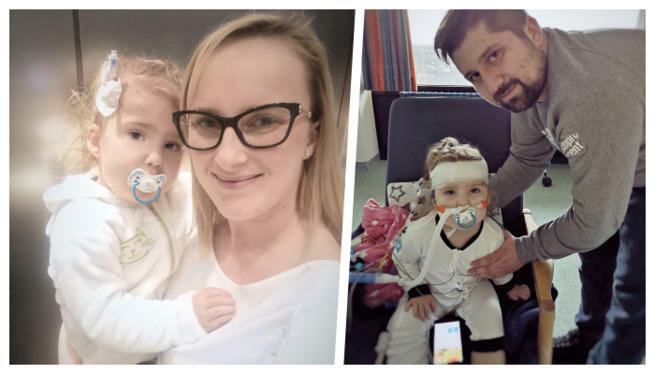 Thanks to you, in December 2018, Martynka went through a heart surgery in Munster. We would love to tell you that everything went according to the plan and we have a healthy little girl, but life has decided to surprise us once again…. 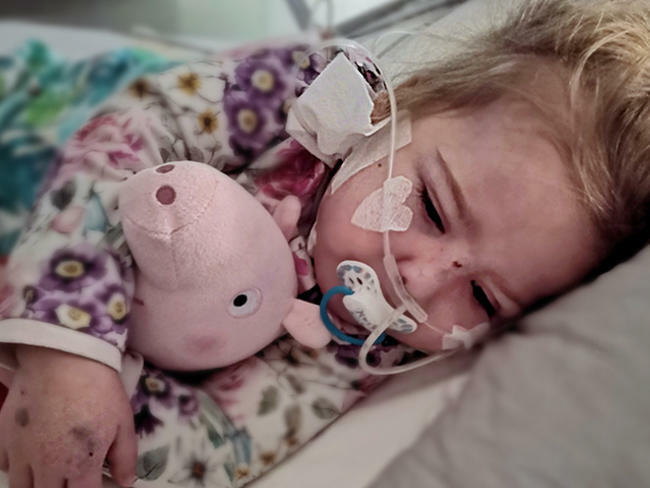 We went to Munster so that Martynka could undergo the last out of three Fontan’s procedures, which would finally allow her to live with such complicated heart disease. In addition to all of this, her heart is placed on the right-hand side, which made everything even more difficult. On Friday, 14th December, at 7:15 am, we have been sent to the 3rd floor of the clinic. We did not have to say goodbye just yet, we were holding her hand until they anesthetized her. After that we just had to leave and wait outside… After long hours we finally got a phone call that the surgery went well and that everything went according to plan. Huge relief! Indescribable joy has gone through our hearts. On the first day after the surgery Martynka was doing great, on the second day she even started sitting up! Unfortunately, our excitement was ruined by… cough. At first it wasn’t anything major, but with time it has gotten worse. The doctors run some tests and found out that there is something very concerning happening in the lungs. Three days later, saturations have gone down. The doctors suspected pneumonia, so they acted immediately. Unfortunately, it was getting worse- she was sweating excessively, they had to change the sheets every other hour. She was getting worse by the hour; the cough was getting stronger. After a sleepless night, after another horrible cough attack, she knew something was very wrong. I saw the horror in her eyes. Martynka was blue. I started screaming- the nurse came immediately. All the doctors came running and we had to sit outside. The doctors updated us very often, that they were still fighting for her life. It took 5 hours, but they made it. When we got back to the room, she was intubated, all swollen. We were worried that the brain has been damaged. Despite the fear, we were impressed by the professional help and the commitment of the staff and how hard they were trying to bring our child back to life. It was incredible- they were fighting as if it was their own child’s life at stake. 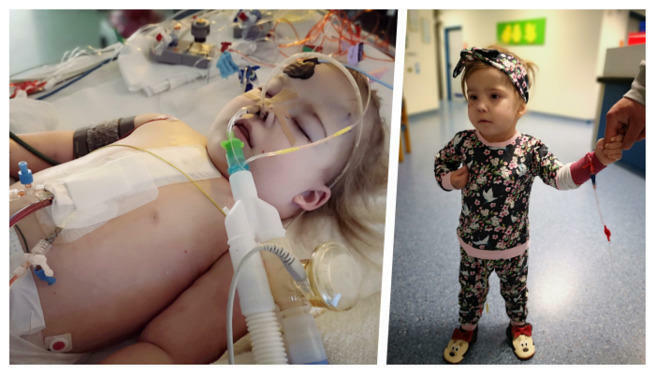 She was stable for one day and then another crisis came-once again she stopped breathing. It turned out that her airways have been blocked by some sort of a blood clot, which was constantly moving. The situation was getting more dramatic by the hour. Another resuscitation, another attempt to remove the blood clot failed. We got down on our knees and we prayed for a miracle. The feeling of helplessness and despair has torn our hearts into pieces. Assistant professor Januszewska updated us constantly, she calmed us down, she assured us that they are not giving up and what’s most important, that Martynka is not giving up. Our baby girl was finally put on ECMO- a machine that was breathing for her. Thank God her heart was beating by itself. They finally removed the blood clot! We could finally see our little girl. Prof. Malec has made another difficult decision to have another surgery, some blood clots have appeared in the Fontan tunnel, that was created a week ago. Martynka’s heart is on the right-hand side, so the tunnel was, in addition to all of this, blocking the pulmonary arteries. This time it all went well, professor Malec and his team have enlarged and elongated the tunnel, removed all the blood clots. Martynka’s life was saved once again.